Is there a way to automatically generate a colophon information in LuaTex? Ideally I would like to automatically generate a file (plain text) that will list the different font and font-families that actually appear in the tex (LuaTex) document incase latex substitutes missing fonts or if a particular fonts family isn't declared. 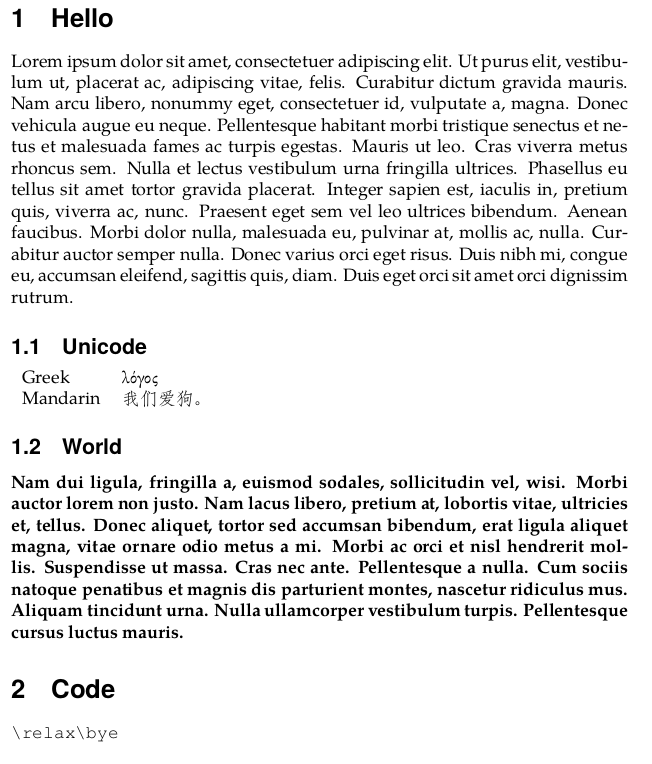 Run sh texfonts.sh test, and there will be two outputs: the text file test-fonts.txt and the PDF. Not the answer you're looking for? Browse other questions tagged fonts luatex compiling or ask your own question. How to get meta-information (TeXLive-Version, Compiler, -version) inserted in the file? How do I find out which font shapes and series are used in my document? “Debugging” installed fonts. Which font is mapped to which serie/shape? Can I tell polyglossia to “try to find any appropriate font for the chosen language”?